Every dollar generously donated to Chihuahua & Small Dog Rescue, Inc., brings us one step closer to realizing our mission “to end the unnecessary euthanization of small dogs in our shelters.” Your gift helps provide the necessary medical care of each and every small dog we bring into Chihuahua & Small Dog Rescue. Whether you want to make a one-time donation or recurring gift, a planned gift, or give at your workplace, you’ll know your contribution is helping abused, neglected, abandoned, sick and injured small dogs get rehabilitated so they can find their forever homes. Chihuahua & Small Dog Rescue, Inc., is a fully transparent organization. We make all our financial documents and all policies and procedures available to all that request them. We are a proud GuideStar Participant and we have achieved their Platinum Exchange level of membership. We are also a truly 100% all volunteer organization. You can rest easy knowing that your donation is actually going to the care of the small dogs that come into our organization. Our overhead rate is under 6% where it has been since the start of the organization. We feel when you donate to Chihuahua & Small Dog Rescue, your money should be used for what you want it to be used for. You can make your tax deductible donation using Paypal. A Paypal account is not necessary. Just click the donate button. Whenever you shop at amazon.com go to www.smile.amazon.com instead. 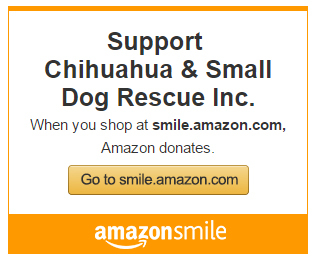 This will allow you to pick Chihuahua & Small Dog Rescue as your favorite charity and as you shop we will receive a donation from Amazon all because you picked us. There is no additional cost to you. All you have to do is sign into your amazon account at www.smile.amazon.com instead of amazon.com from now. It is just that simple. 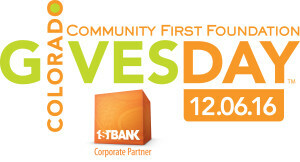 and United Way number you will need so you can designate Chihuahua & Small Dog Rescue, Inc., as your donation of choice. Write in Chihuahua & Small Dog Rescue, Inc.